To start off the day, most boring match except for Preethi Zinda and KXIP fans no one was excited about the match, in fact Pune could have given a bye rather to play this sorry game. 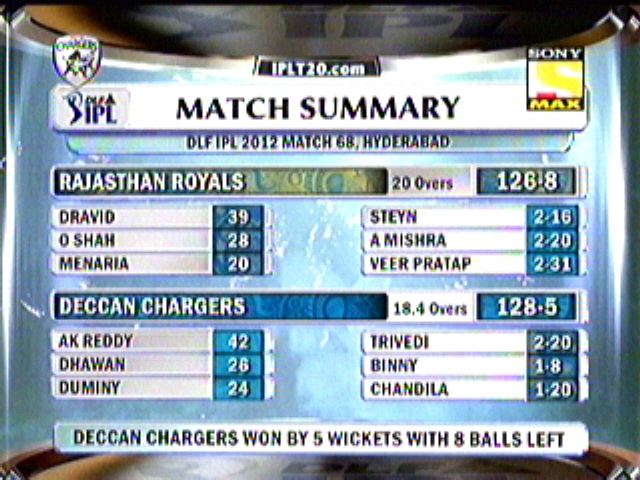 100% one sided match won by KXIP. 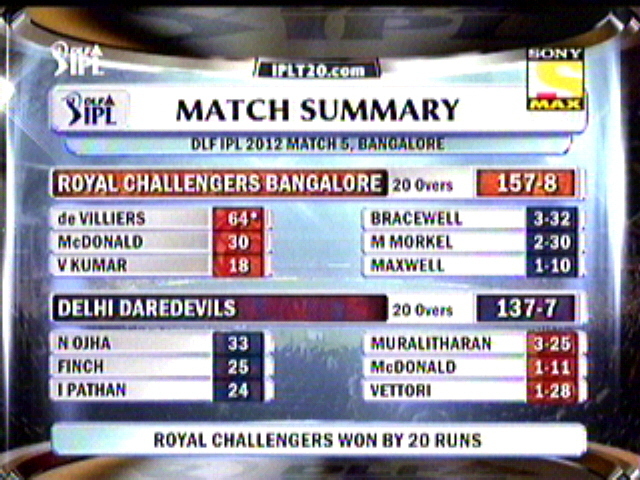 Just when u thought IPL is boring, It came up with a Super over match very next to keep it alive… SRH and RCB put up a gallant fight to tie the match and fight out it. In the end Cameroon white’s 2 sixes were two much to handle for Chris Gayle against Steyn’s class. – 8 ducks by Manish Pandey has made him the top of the list in the no. of ducks scored in IPL career. 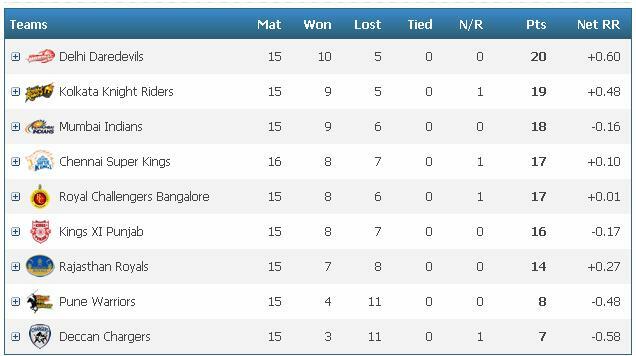 – 24 runs scored in Powerplay overs by Pune is the lowest for this season, and also the second lowest of all time, Lowest is also by PWI when they scored 23 runs. 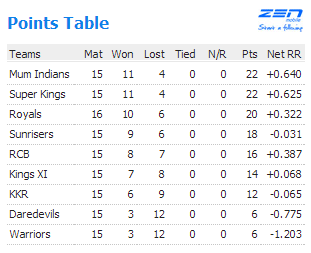 – 38 runs scored in first 10 overs by PWI is also the lowest by any team in IPL. – 99/9 is also the lowest score for PWI. 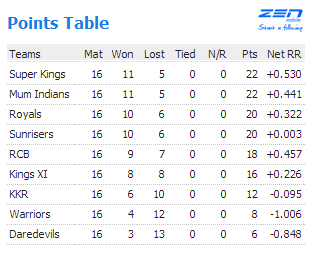 – PWI lost their 10th game in their home ground. 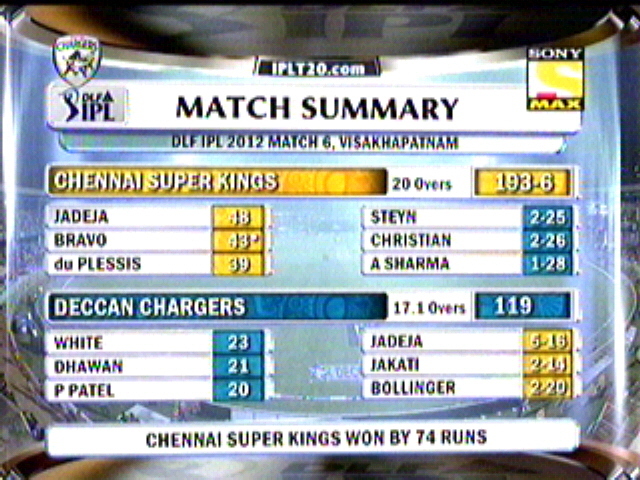 – KXIP for the first time have won the first game of the IPL season. – 5 times including today, Gilchrist has scored 3 or more boundaries in the first over. – Gilchrist went past 1000 runs in IPL career, and he is 5th to reach this milestone. 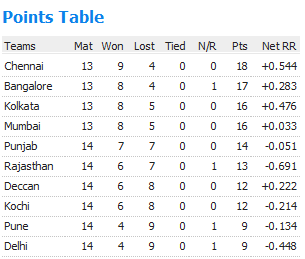 – A win for KXIP with 46 balls remaining is the highest ever for them in terms of balls remaining. – Hanuma Vihari got his first IPL wicket (Chris Gayle) in his very first ball bowled by him in any T20 game. – SRH VS RCB, First Super over of this season and third time in IPL all seasons where over 330 matches played till today in 6 seasons. – 20 runs scored by SRH is the highest ever scored in a Super Over, bettering RR’s 18 runs that’s when Yusuf Pathan gone mad. – Hanuma Vihari’s 44 is the highest score for him in IPL, bettering his previous best of 34 runs.